The Spanish Civil War coincided with the growth of print media and illustrated news publications across the world. Although works credited to foreign journalists who had come to Spain, such as Robert Capa and Gerda Taro, were better known, local photographers played a crucial role in the development of photojournalism. Juan Pando was one of the young photographers who covered the events of the Spanish Civil War with new eyes. At the age of sixteen, Pando began his career as assistant to photographer Mariano Moreno, and shortly afterwards began to work exclusively for the Associated Press, which sent his pictures to national and international media. 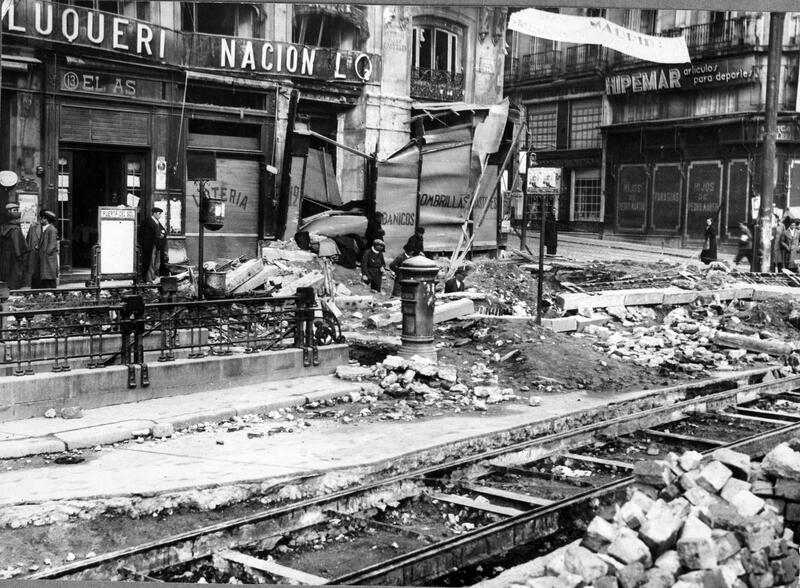 When war broke out, Pando began to document events from the Republican side, meaning he was an eyewitness to the stages of what is called “the defence of Madrid”, from the training of the Popular Army to the effects of the civilian bombings. So Pando’s work joined the output from other photojournalists, all contributing to the creation of a meticulous documentation of the Spanish Civil War at a time when humanist photography was spreading across the world. Once hostilities had ceased, Pando’s professional career began to lean more towards distribution, through his own agency, Foto Pando, and towards industrial and advertising photography and representations of landscapes and traditional characters, producing a significant number of photographic series on Morocco between 1949 and 1977.